VIP and VNAC systems: monitor TCP / IP and SNA data communications from IBM´s mainframe computers. ORSYP´s Sysload: performance management solutions that measure, analyze and improve servers and network capacity planning. 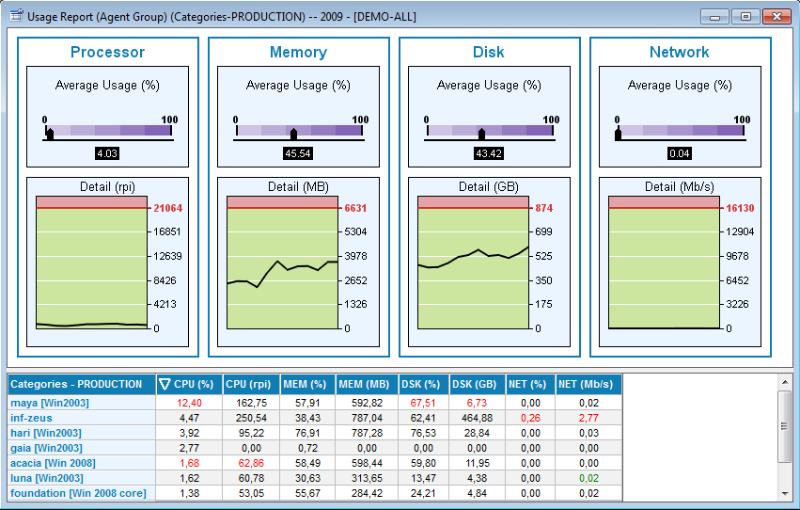 Tango/04´s Visual Control: multiplatform performance monitoring solutions. Tango/04´s Visual Support: a tool that shows all job-related environment information to allow for the quick resolution of problems. Tango/04´s Data Monitor: security control center that helps detect and solve security breaches affecting corporate data in real time. It complies with SOX or any other regulation on data auditing. PKWARE´s SecureZIP: compression and encryption of data and files. ORSYP´s Universe$: production scheduling and automatic management for the computer helpdesk. Original Software´s TestBENCH: intelligent data extraction and data scrambling from Oracle databases and others. Original Software´s QUALIFY: application quality management solution. Original Software´s TestDRIVE: automated software quality assurance. CYBRA´s MarkMagic: Advanced Printing: Barcode labels, RFID tags, electronic forms. MAXAVA DRP solutions: high availability software and real-time replication. PKWARE´s PKZIP: ZIP compression for data and files. HP´s Report/400: report generator effective on DB2/400. HP´s Mail/400: electronic mail for reports and various file formats. HP´s Spool2File: directly converts prints to files with AS400. Linoma Surveyor/400: edits and compiles GUI for DB2/400 files. Linoma´s Transfer Anywhere: data transmission server to all platforms.